A swarm of earthquakes and shifting lava flows have scientists wondering what Kilauea will do next. The active volcano already has two active eruptions — is it on the verge of starting a third? According to Yahoo News, the lake of lava in overlook crater on the summit of Kilauea on the Big Island of Hawaii has dropped around 500 feet. The sudden drop came after a bulging period, where the lake overflowed and began to stream into Halemaumau Crater. 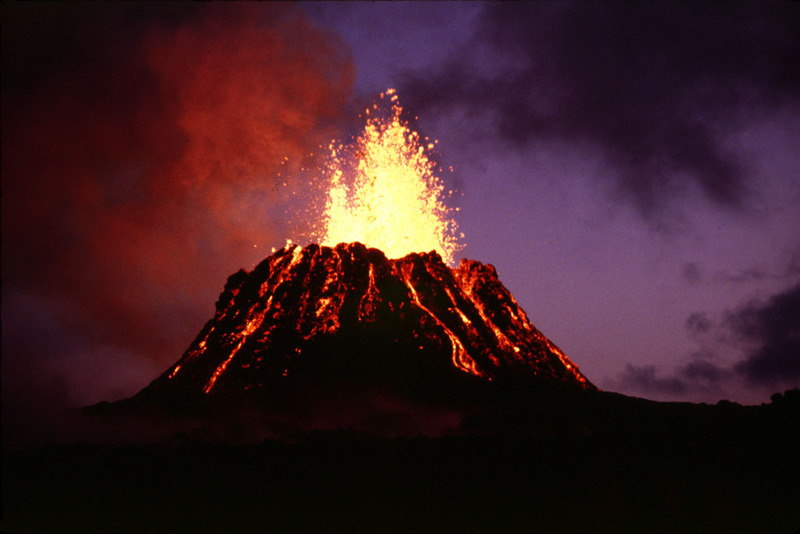 As the molten rock dropped, the summit started to become deformed, according to Big Island News. Likewise, earthquake swarms have rocked the area. The Honolulu Star reports that small earthquakes have been recorded since last Monday, when the lake began to recede. Last weekend was particularly shaky, with two magnitude-3.0 earthquakes hitting on Saturday. As previously reported by the Inquisitr, a magnitude-4.5 quake rocked the big island on Sunday. So far, the activity hasn’t been harmful, but scientists are wondering what this means for Kilauea. Scientist Steven Brantley of the Hawaiian Volcano Observatory explained that the lava must have gone somewhere, and now they trying figure out what’s the next event. One possibility is that the lava will burst out of Kilauea in a new spot. Currently, there are two eruptions on the active volcano. One is the iconic lava flow into Halemaumau Crater in Hawaii Volcanoes National Park, often viewed by tourists. The other is called the Puu Oo vent. Last year, that eruption caused residents of the small town of Pahoa to vacate while the lava flow creeped in — until eventually stopping at a shopping center. If a third eruption does occur, researchers say it will most likely be in what’s called the Southwest Rift Zone. In that case, the population will not be at risk, and there are no structures that could be damaged. The question remains if the molten rock does come to the surface, will it simply seep out of the mountain or will it go off with more of a bang? A more violent eruption for Kilauea would mean larger, more intense earthquakes for the area. Still, the possibility remains that nothing will happen at all except internal shifting, and Brantley reports that seismic activity has become quieter since Saturday.